C is for Cavaliers: Who with Irving and Varejao out were nice enough to put a bunch of D-leaguers and players no one has ever heard of on the court. L is for Lin: Unfortunately we found out before the game that we’ll have to go the rest of the season without him. E is for energy: This is what J.R. Smith provides a ton of off the bench. He also shot really well in a close game; something he hasn’t been good at since coming to the Knicks. V is for Varejao: I’m so glad I didn’t have to watch him flop 6-7 times last night. E is for enjoyable: This game was the exact opposite to watch. Lots of sloppy plays and turnovers on both sides. 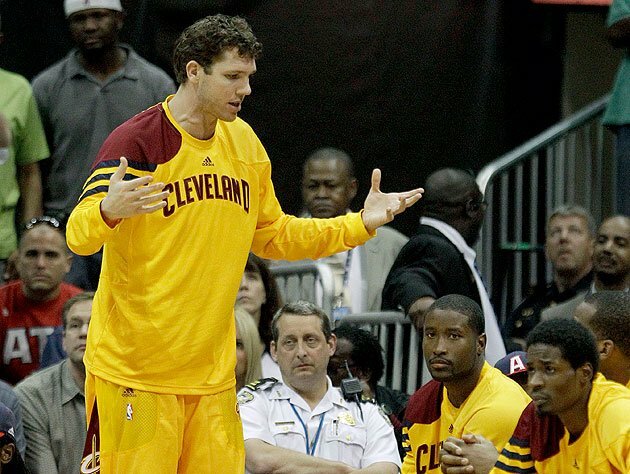 L is for Luke Walton: I thought he only sat on the bench and collected checks, I was very surprised to see him on the court….and not as surprised when I saw them throw up an airball. A is for anxious: As in anxious about our point guard situation. 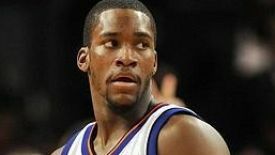 With Lin out and Davis….old we dusted off Toney Douglas and he looked….not great. N is for Novak: He’s been on 90% of the time, but when he’s having a game like he did last night maybe he shouldn’t do the belt thing when he’s missed the 5 previous shots. D is for defense: Tyson Chandler has been invaluable in this department.